Initially, Nykaa was an E-commerce website only which sold products of various well-known brands. I have purchased from this portal many times in past and I do that regularly in current time as well. Recently (in 2016) it started its own (private labeled) products in bath and body care category. Now when I am drafting this post, Nykaa has their own makeup products as well. 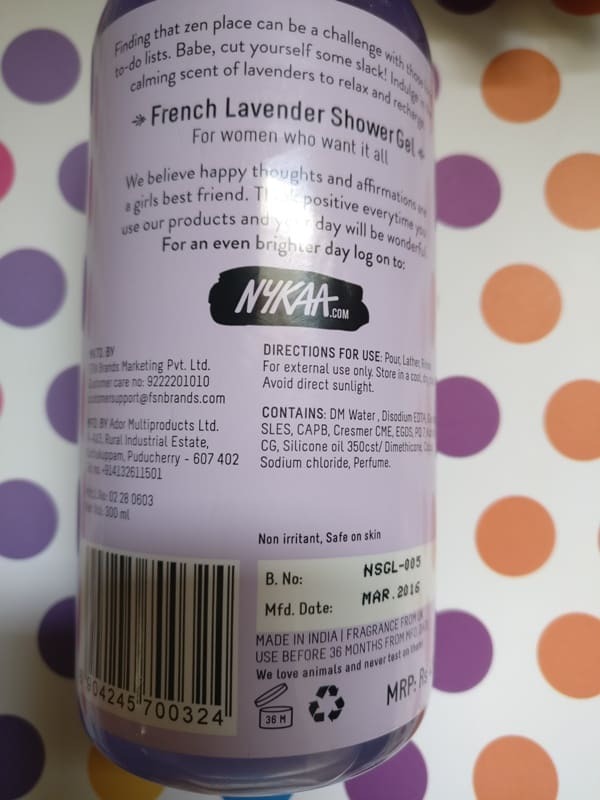 Recently I got my hands on Nykaa French Lavender Shower Gel. Reviewing the same today. If you love trying new shower gels like I do, Read the complete review below. Nykaa Shower Gel-French Lavender comes in a medium-large size transparent plastic bottle. It has “press-n-pop” cap to release the gel from the bottle. The brand name and fragrance (type) is mentioned at the front part of the bottle and other details of application, ingredients, and directions are specified at back side of it. Its weight is 300ml and price is 450 rs. 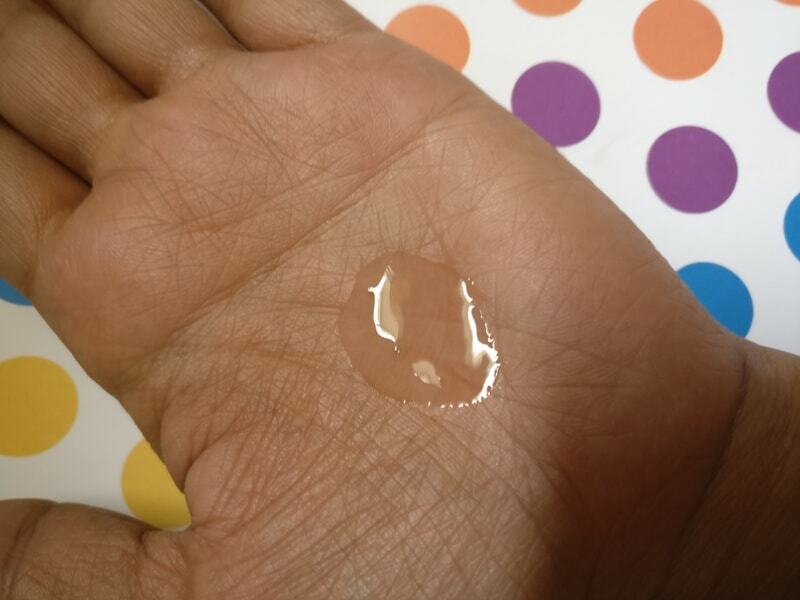 The texture of the gel is quite smooth and it is little runny. It looks light purple in color when in the bottle but seems totally transparent when used. Though I feel, Packaging could have been still better! I have been using “Nykaa Shower Gel-French Lavender” for the past a week and more and I am ready to share the results with you. As I said, while using the gel, it appears transparent with the fragrance of lavender. You just need a “coin” size or bit more quantity of gel. Initially, I used the gel with help of loofah (bath puff) but then I realized that it can be used without loofah too. It indeed washes the dirt and sweat away. It gives you the feeling of freshness. Gel produces a good amount of foam. While rubbing, it feels gentle. The fragrance of lavender is experienced while rubbing it over the body but afterward it vanishes away. As soon as you rinse off the foam and gel, you get a soft, cleansed and fresh skin. After a long tiring day, this shower gel would give you an instant freshness. The limitations I faced with this product are, the fragrance of shower gel is lost as soon as you rinse it off and size of the bottle is bit large which makes it “less travel-friendly”. Also, the fragrance is good but it is an artificial fragrance, not exactly how Lavender Fragrance smells. So, if you ask me, I would give it 3 out of 5. This was my opinion for “Nykaa Shower Gel-French Lavender”, do share your views in the comment section below! And stay tuned for upcoming exciting posts! I have reviewed and talked about some other Shower Gels and Body Washes Here!